Was it from chemical warfare? Was he exposed to some biohazardous toxic sludge? 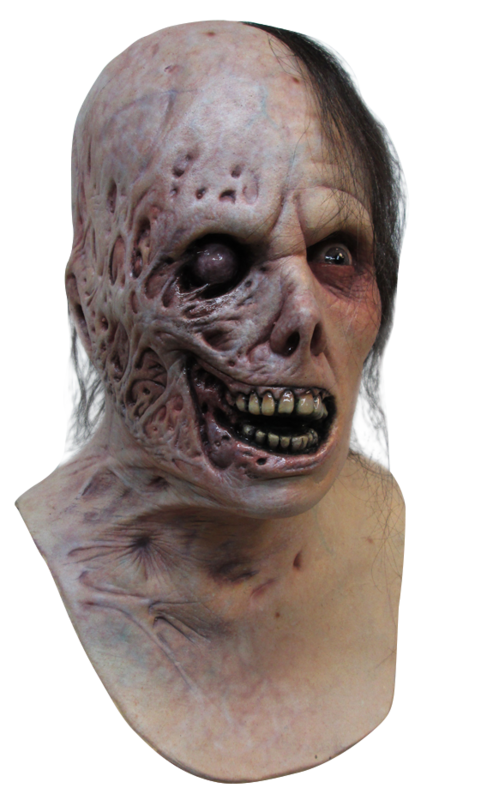 We're not sure, but Burnt Horror is an incredibly detailed latex mask of a head with half the face burned off. Fully covers your head and neck.